The weeks are counting down to our return to Florida. And, luckily, we just missed Hurricane Isaac. It was strange following the story of the hurricane so closely. Of course, I’m an avid follow of US and world events, but hurricanes have had no direct impact on me or my family before. So, watching the story and checking for updates multiple times a day was a new experience! I frequently checked the weather on my computer’s dashboard which is still programmed for Greenacres, Florida to see what it was doing all day. Surely I would have heard from the few friends I’ve developed down there had there been any damage to our apartment so I trust that everything is OK. I just hope that we don’t have to experience any major hurricanes when we return! I’m a Kentucky gal so I’ll be one of those people panicking and running around like a chicken with its head cut off! 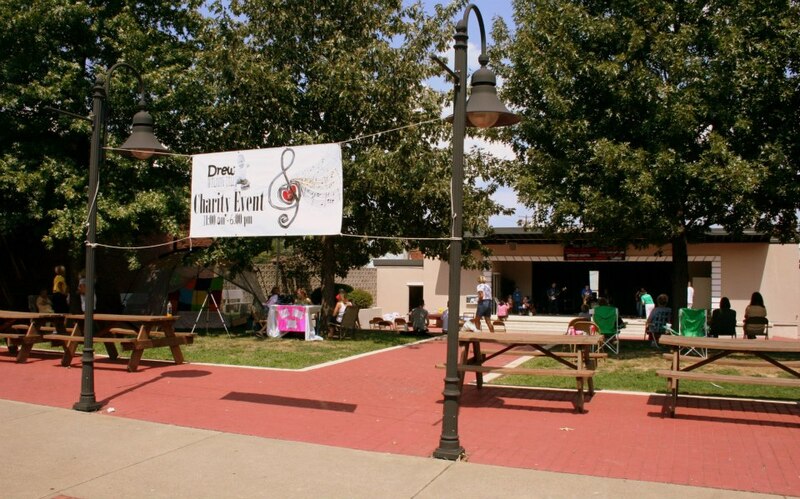 Meanwhile, in Morganfield, the biggest excitement over the weekend was the Drew Walking Tall Music Fest. It went pretty good. There were many events and happenings in Union County that day so we didn’t get the turn out we were expecting and hoping for. (Union County has never been so overwhelmed with stuff to do before, go figure!) But we did raise $654 for Drew Walking Tall. Drew was very excited for the bands and had been itching to go since I told him about it. Drew joined me on stage to welcome the crowd and was cute, of course! Dylan Barnes opened and he was awesome. 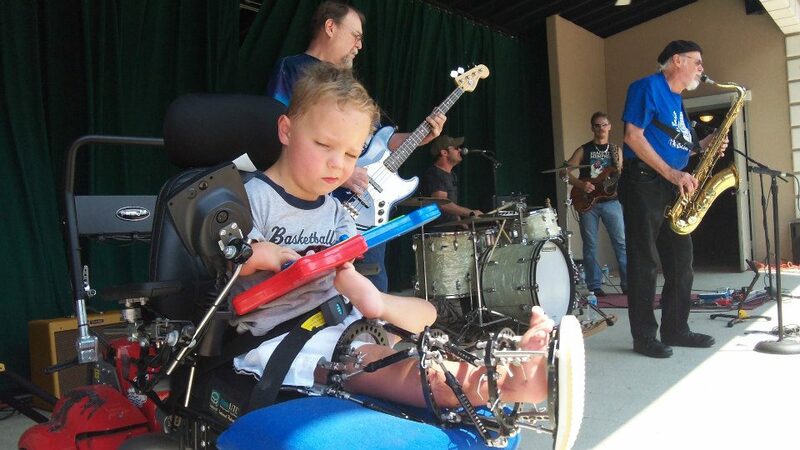 Then, when Three Shades of Grey came on stage, Drew really wanted to go on stage with them with his “rock star” (his toy guitar) so up we went and I tell you, this boy was rockin’ as hard as the professionals! He was headbangin’ and strummin’ and rockin’. I hope that he didn’t distract from the awesomeness of Three Shades of Grey because he was so cute and funny! Even at the ends of the songs, during the big finish, Drew would strum harder and shake his head harder. He was really getting into it! I was rollin’! I have to think Sher Hammond Culbertson for taking the lead role in planning and arranging this event. She is also a very talented photographer so be sure to check out her page at Sher’D Images Photography. Thanks do Dylan Barnes, Three Shades of Grey, Doc Niehaus and Ryan Rigdon, Iron Monkee Band, HiRize Hillbillies, Blind-Dog Gatewood, Andrew Baum and dkwells for giving up their Saturdays to help support Drew Walking Tall. Thanks so Michelle Berry for coming out to join us with her portrait studio. 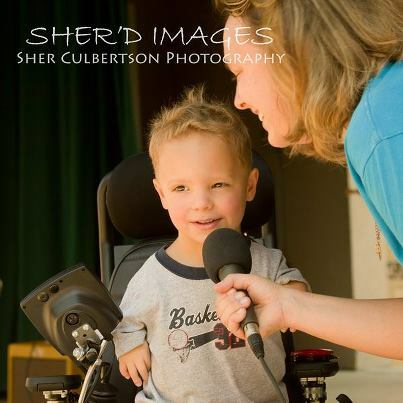 You can learn more about her and her fundraising services at Cheleartphotography by Michelle. Donna Omer, Salon One, Onan’s Body Shop, Tommy Stillwell, Uniontown Food Mart, Uniontown VFW, and Uniontown Floyd’s Market for donating items for our event. Thanks to the DWT volunteers. There are too many to name! And, to the Union County Advocate for the advertising. Thanks to the Eagles Club for serving the great tasting food! And, thanks to Downtown Morganfield, Inc. for letting us use their venue for this event! Here is a slideshow of all of my favorite pictures! Most of them are credited and are clickable to the photographer’s Facebook page so if you would like to know more, click on the picture. Meanwhile, life moves on. Drew has developed a low fever the past couple of days. Normally, this isn’t a huge concern, but when you have a high risk of developing an infection in one of many pin sites, a risk of developing endocarditis, and being within weeks of surgery it’s a huge concern. Luckily, children’s Tylenol does the trick and Drew isn’t really complaining about feeling bad and is about as active as he normally is. But, I’m taking him to his pediatrician today to have a culture done on one of his pin sites that is oozing slightly just to make sure that extra doses of antibiotics is sufficient to treat the cause of the fever.